Visitors to Harbor East will soon have a chance to ice skate with a view. The Four Seasons Baltimore is opening an ice rink later this month on its fifth-floor Harbor Terrace. The rink is scheduled to open Nov. 23, two weeks after the Waterfront Partnership of Baltimore reopens its seasonal rink at the Inner Harbor. The Inner Harbor ice rink is set to open Friday, with a grand opening event Nov. 16. The Four Seasons’ rink will take over 1,560 square feet of the terrace, where it will be open through Jan. 6. 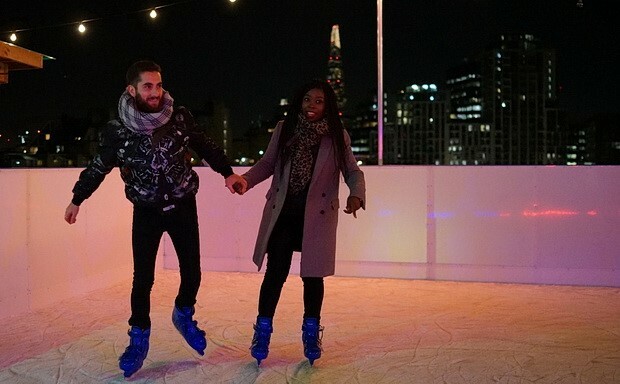 Guests can stop by from 4 p.m. to 8 p.m. Thursdays and Fridays or noon to 8 p.m. and Saturdays and Sundays to skate and enjoy hot cocoa, spiced apple cider and roasted chestnuts.